^ 1.0 1.1 "Erik Erikson, 91, Psychoanalyst Who Reshaped Views of Human Growth, Dies", New York Times, March 13, 1994. ^ Friedman, Lawrence Jacob. Identity's architect: a biography of Erik H. Erikson. Harvard University Press. 2000: 29. ISBN 978-0-674-00437-5. ^ Psychology. Sweet Briar College. [2013-08-30]. （原始内容存档于2013-05-15）. ^ 4.0 4.1 4.2 4.3 4.4 4.5 4.6 Hoare, Carol. Chapter 2, Erikson's Thought in Context. Erikson on Development in Adulthood: New Insights from the Unpublished Papers. Oxford University Press, USA. 2001: 7–12. ISBN 978-0195131758. ^ 5.0 5.1 Stevens, Richard. Chapter 1. 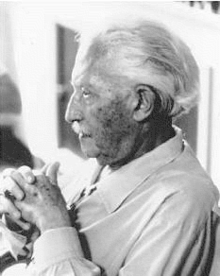 Erik Erikson: An Introduction. New York, NY: St. Martin's Press. 1983. ISBN 978-0-312-25812-2. ^ Erikson Erik (1902–1979). Gale Encyclopedia of Psychology 2nd. Gale Group. 2001 [2013-08-30]. （原始内容存档于2010-06-09）. ^ Robert McG. Thomas Jr. Joan Erikson Is Dead at 95; Shaped Thought on Life Cycles. The New York Times. August 8, 1997 [2013-08-30]. ^ Engler, Barbara. Personality Theories: An Introduction. Cengage Learning. 2008: 151. ISBN 978-0-547-14834-2. ^ Fadiman, James; Frager, Robert. Personality and Personal Growth 5th. Pearson Prentice Hall. 2002: 208 [2013-08-30]. ISBN 978-0-13-040961-4. ^ Friedman, Lawrence Jacob. Identity's architect: a biography of Erik H. Erikson. Harvard University Press. 2000: 253, 261–262 [April 28, 2014]. ISBN 978-0-674-00437-5. ^ Erikson, Erik H. Dimensions of a New Identity: The Jefferson Lectures in the Humanities (W. W. Norton & Company, Inc., 1979), ISBN 978-0-393-00923-1, ISBN 978-0-393-00923-1. ^ George Stade, "Byways of Our National Character," New York Times, May 19, 1976 (review of Erikson's Dimensions of a New Identity). ^ "National Book Awards – 1970". National Book Foundation. Retrieved 2012-03-08.